Elon Musk, boss of electric car firm Tesla, says he can help solve South Australia's power crisis within 100 days - and if not he'll do it for free. The offer follows a series of blackouts in the state. On Thursday, Tesla executive Lyndon Rive had said the company could install 100-300 megawatt hours of battery storage in 100 days. When asked on Twitter how serious he was about the offer, Mr Musk said if Tesla failed, there'd be no bill. "Tesla will get the system installed and working 100 days from contract signature or it is free. That serious enough for you?" he tweeted in response to Mike Cannon-Brookes, co-founder of Australian software maker Atlassian. Having offered to "make the $ happen (& politics)", Mr Cannon-Brookes then told Mr Musk: "You're on mate." Mr Musk went on to quote a price of $250 per kilowatt hour for 100 megawatt hour systems. 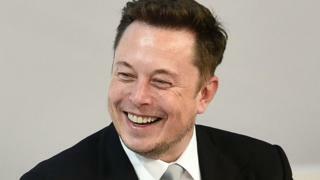 Australian Greens Senator Sarah Hanson-Young then joined in on the act, telling Mr Musk: "Let's talk!" Tesla has been expanding its battery business alongside its car production. This week the US company launched its Powerwall 2 in Australia, the world's top market for rooftop solar. Battery storage is one of several options the government is looking at to help ensure reliable power supplies as Australia grows more reliant on intermittent wind and solar power.